After travelling around Andhra Pradesh for almost a week, a dinner at The Park Hotel, Visakhapatnam’s beach front restaurant, Shack, turns out to be the highlight of my trip. The beachfront restaurant. Shack, at The Park Vizag. Now don’t get me wrong, the state has a lot of natural beauty and culinary treasures. The newly minted state offers a beautiful coastline and the tourism department is pumping in money to boost travel related infrastructure. During my travels from Vijayawada to Dindi and Kakinada, I have to say that the food, even at the simplest of places is absolutely delicious. While there is an array of seafood, meat and of course biryani, the blandest vegetables and dals are zinged up by local spices and cooking techniques. Having eaten at many state-run restaurants (I’m told that these places often have the best chefs who follow the most authentic recipes), I can safely say that Executive Sous Chef Neeraj Balasubramaian is doing a fabulous job. Vizag (short for Vishakhapatnam) is known for its beautiful coastline. And Shack does justice to the natural beauty with its laidback ambience that’ll transport you to a hip Goan shack. But mind you, the service is far from laidback! 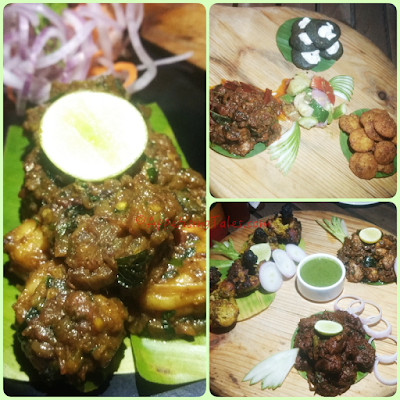 Prompt and courteous servers bring out Chef Neeraj’s creations in quick succession. While the vegetarian platter has a delicious podi idli (you’ll find this at The Park Hotel, New Delhi’s swanky Indian restaurant, Fire, as well), Japanese-inspired melt-in-the-mouth spinach cutlets topped with cheese and mushrooms in a pepper fry masala, the non-vegetarian platter consists of chicken pepper fry, chicken burrah topped with burnt garlic and ruslam patti or slow cooked lamb. After being marinated overnight the lamb is slow cooked for six hours making it very tender and flavourful. Even though the fare is spicy as the local cuisine is meant to be, each dish has a distinct flavour. The prawns that follow are very fresh as the state abounds in prawn farming. The sweetness of the meat is balanced with a wonderful masala made with garlic, ginger, chilli and coconut. This meal is of course best enjoyed with the soothing sound of the waves and a salty breeze blowing in from the Bay of Bengal. This year along with the Park group, the Park Vizag is also completing 50 years. 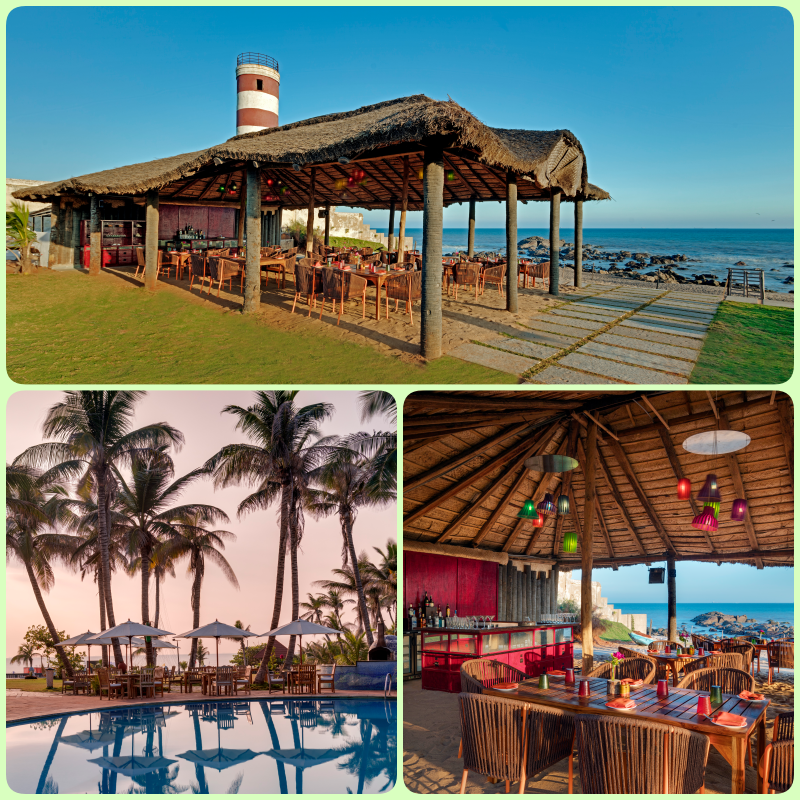 With a choice of restaurants, two nightclubs, a rooftop bar and the most enviable location along Vizag’s gorgeous beach, keep this hotel in mind for your next beach holiday.